Georgia Huston conducts intimate and revealing interviews with pain sufferers and pain professionals. They discuss many aspects of living with pain, developing coping strategies, and dealing with family, friends, and doctors. 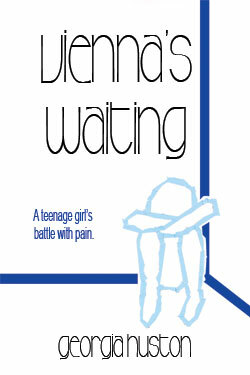 A portion of all proceeds from the sale of this book will go to the Teen Pain Help Foundation. 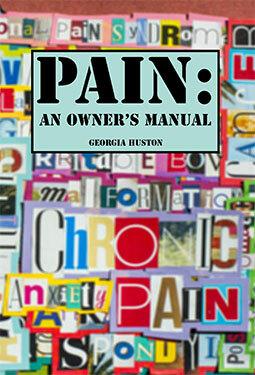 This book is the story of Georgia Huston's battle with chronic pain. It is an unhappy journey with an insightful and inspiring ending. All proceeds from sales of the book go to support Teen Pain Help Foundation. If you hurt, read this book! A young pain victim's inspirational and informative conversations with a variety of pain sufferers and specialists. They share their experiences with pain, their coping strategies, and what works for them in getting through the day. Astonishingly frank conversations range from marijuana use to music therapy to suicide. A must-read for all doctors, who will get an earful from the other side of the examination room. Honest revelations about living with pain caused by Fibromyalgia, Chronic Regional Pain Syndrome, Irritable Bowel Syndrome, Arthritis, Postural Orthostatic Tachycardia Syndrome, Migraines, Ankylosing Spondylitis, Thoracic Outlet Syndrome, Arnold Chiari Malformation, Cerebral Palsy, and more. Different therapies and coping strategies work for different people, ranging from video games to noise canceling headphones to working out, watching TV, Botox injections, or performing standup comedy. For some, it's creating art, for others it's riding horses, or petting their dog. There are realistic discussions of therapies such as biofeedback, Iyengar yoga, and hypnotherapy. And candid revelations about drugs -- from pot to brand name prescription narcotics -- and tales of addictions, young and old. Horror stories turn into hopeful tales of personal heroism, perseverance, family unity, and caring. Doctors should read this at their own risk.